The Kernow Springs project has proven to be a huge success since its launch in 2014 and is the vision of local craftsman Martin Dean. It all started for Kernow Springs when Cornwall-based, former boat builder & father of two built a couple of wood fired hot tubs for his garden after sampling their relaxing delights, whilst on a family vacation. Working with different wood types has always been second nature to Martin & word rapidly spread of his beautiful back yard creations. Demand then soared to the point where he decided to launch his own company - Kernow Springs, building & supplying Eco friendly wood fired hot tubs to the South West. 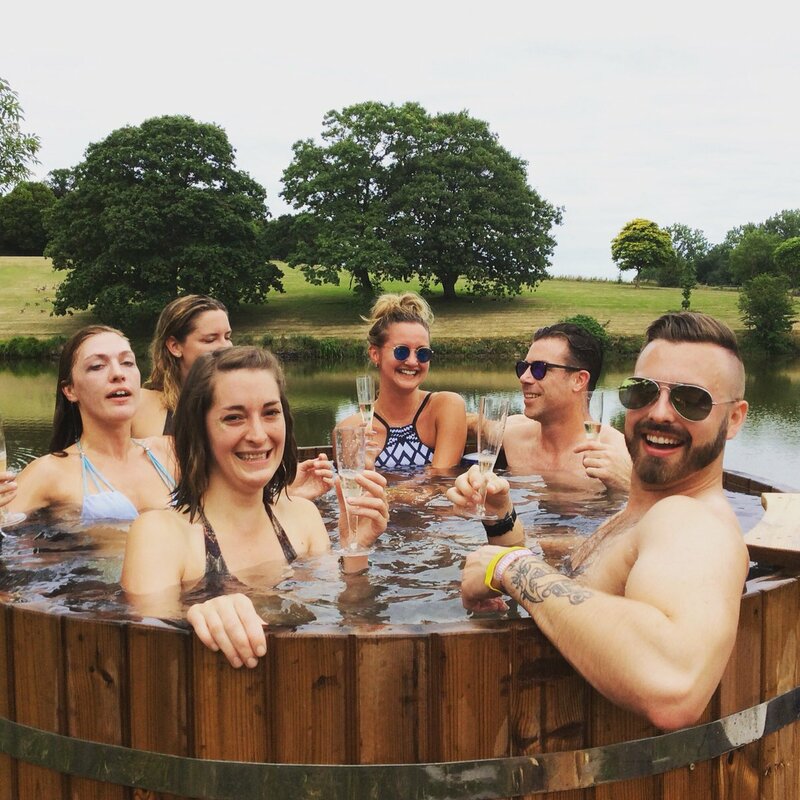 Kernow Springs now stands out as one of the leading suppliers of wood fired hot tubs in the South West. The teams vision for the future is to eventually be able to provide their 'Wild Spa' concept at a permanent location, somewhere in the South West. Somewhere beautiful where they can offer their unique outdoor spa experience all year round. For centuries many different cultures have recognised the health benefits associated with soaking in a traditional wooden hot tub. Indeed the Greeks, the Romans & the Japanese have always regarded it as a ritual. Soaking in the Japanese bath is considered an act of comforting the body & nourishing the soul. The combination of soaking in a large volume of hot water & the aroma of the wood as it heats promotes a proven healing effect. Blood circulation is improved, tense & aching muscles are relaxed & the pain from physical injuries is greatly reduced.